I was watching Hitler’s Hidden City on the Nat Geo channel a couple of nights ago. It was a bit on the hyperbolic side (more typical of the History Channel, actually)…but I was particularly in interested in the flak towers built during WWII. When I was in Germany in 1977, we stayed at a youth hostel in the Wedding district (now redivided into the Gesundbrunnen district) across the street from Humboldthain Park. Best I can tell from Google Maps, the Jugendgastehaus Nord might now be a Holiday Inn. Every day as we walked to the Gesundbrunnen U-Bahn station, we wondered about the “bunker” remains that we saw in the park. On our last night in Berlin, an early group of BackAmp researchers jumped the fence and sat on top of the concrete structure. There were no signs or information, but we guessed that it was a WWII structure. So when the TV showed a photo of the same Flakturm Humboldthain, I finally knew what we had been exploring 32 years ago. It turns out that the interior is now open for tours from the Berliner Unterwelten. I’m looking forward to updating our reconnaissance in the not too distant future. Built in 1941-2, alongside the S-Bahn line, by Italian and French workers. In 1948 – 51 the G-Turm was partially demolished and the two southerly gun platforms destroyed. 1.6 millon cubic meters of rubble was heaped up around base to form artificial hill and to enhance the park to plans by Garden and Building Department Leader Gunther Rieck. The work was carried out by local jobless people. Most of the rubble was pilled around the south, east and west sides, access being available. But as the tower is build in close proximity to the railway, to the north, dumping and pilling rubble was not done to any great depth. So the northern side is left partially exposed. 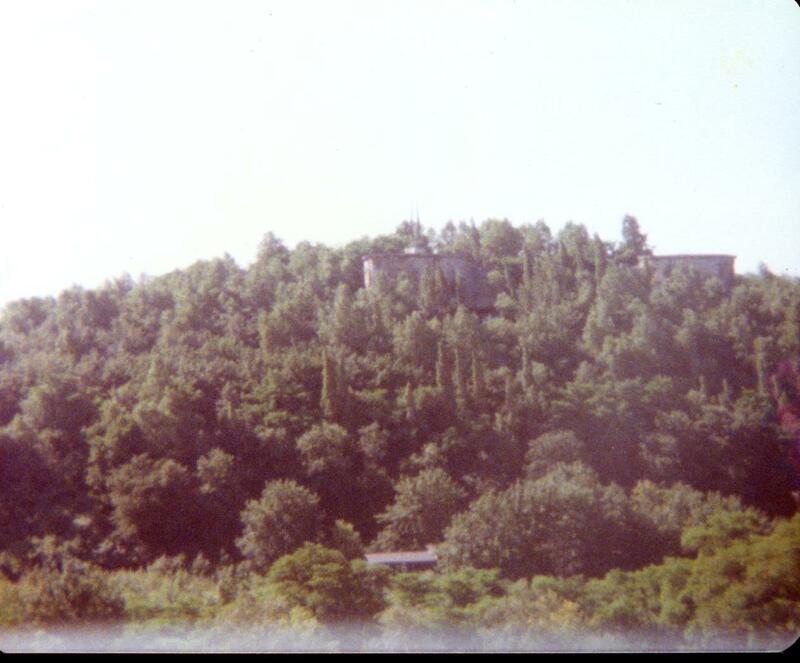 The northern face of the bunker is still visible. In the north of the park, and now known as “Humboldt-85 höhe” it overlooks the Hochstrasse and the Gesundbrunnen U-Bahn station. I suspected that the tower was buried in its own rubble to improve that park which is now confirmed. It’s lucky that any remnant remained visible otherwise it may have completely forgotten.